We regret to inform you that Montgomery County Public Schools has posted false information. On Friday November 20th, MCPS released the $14,000 Radio frequency Radiation Measurement Report and posted answers to frequently asked questions about radio frequency radiation on a new webpage. 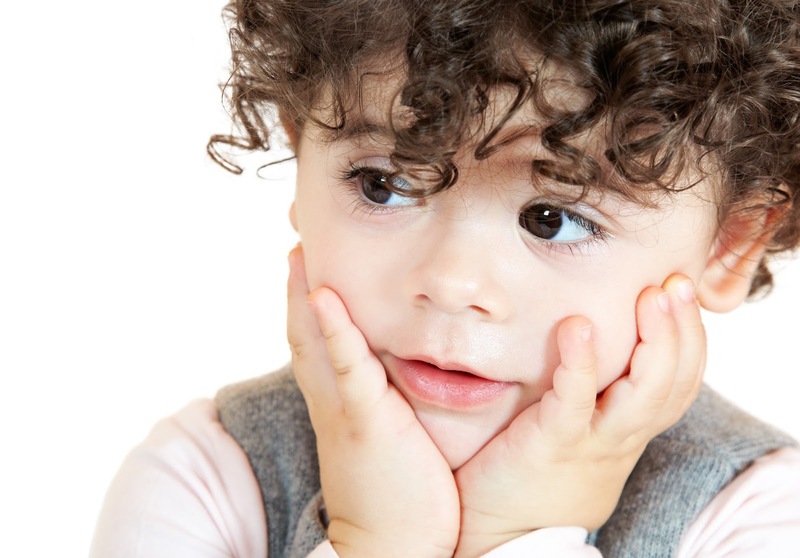 Sadly for parents, the presented information is riddled with false and misleading statements. Safe Tech is in compiling a full response (coming soon) that details all the inaccurate statements that MCPS has posted. The list of flaws is long. This is just the beginning. To start, please watch the video above and see the letter below from the company that made the Acousitmeter microwave meter we use in our videos. The company contacted MCPS asking them to remove the false statements related to their meter. What Incorrect Statements Did MCPS Make? In short, MCPS tried to discredit parents radiation readings by saying the meter could be measuring other radiation sources, but MCPS got their facts wrong. MCPS erroneously says the microwave radiation sources measured by the meter are "the overhead lighting, AM and FM or TV frequencies." Oops. MCPS says that since it could be these things, we cannot be sure the meter is measuring the wireless system radiation. What Are The Missing Facts ? The big mistake MCPS made is-- that the overhead lighting, most AM and FM frequencies and television frequencies are not in the set of frequencies that the meter even covers. The meter only measures microwave radiation in the range of 200 MHz to 8000 MHz (8 GHz). The only nearby RF-EMF microwave sources were the wireless access points on the ceiling and the Chromebooks. When parents took radiation readings they ensured no nearby cell phones. The Chromebook: If you watch our video you can see that the meter shows the radiation peaking when the Chromebook Wi-Fi is turned ON. When the Chromebook is turned OFF the meter shows radiation levels decrease. Its that simple. No rocket scientist needed. The Ceiling Microwave Transmitters (Access Points): The meter shows higher radiation levels near the ceiling access points,which decreases as you move away. Once you are in the bathroom, the meter shows a minimal level. This shows that the source of the radiation is the ceiling access point. This is why parents are asking for their children to move seats so they are not directly under the transmitters. What Key Points Does The Company Make In This Letter? They say MCPS got its facts wrong stating the meter measures lights, radio and TV. They say MCPS's own report confirms the meter must be picking up mostly Wi-Fi network radiation because the MCPS Report itself states that external microwave sources are low. So even MCPS's fancy thousand dollar device confirms that the MAIN radiation sources in the room are from the Wi-Fi network and therefore the meter is picking up mainly MCPS-created-microwave-emissions. The Acousitmeter measures peak signal strength- a key indicator of biological impact. In short- the meter does not have to be thousands of dollars to show how the MCPS Wi-Fi results in classroom microwave emissions. Safe Tech parents have been asking for MCPS to decrease all the microwave radiation in classrooms- including cell phones. Children are being exposed to ALL the microwave frequencies in the room. If the meter is picking up a radiation source that is not from their Wi-Fi system or the Bring your Own Device Policy then MCPS should deal with this radiation source and reduce it. 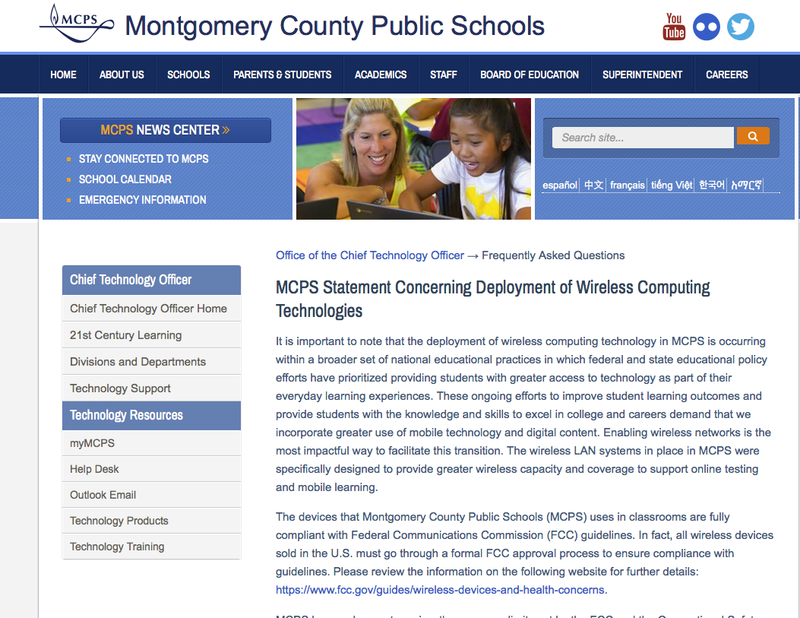 The question we have for MCPS is this: If you don't think the meter is measuring the MCPS industrial Wi-Fi network, Chromebook's or wireless devices brought in by the MCPS BYOD policy, then exactly what do you think it is measuring? 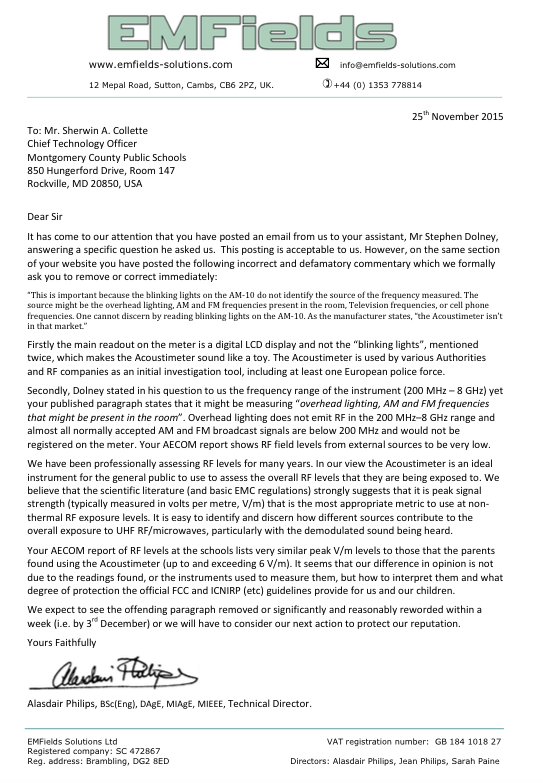 Who is the engineer who wrote this letter- Alasdair Philips of EMF Fields? He is a UK expert on the matter. 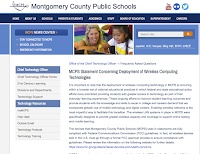 Stay tuned as Safe Tech details ALL of the OTHER false statements made by MCPS. Please subscribe to our blog so you never miss a post.